Frederick (Fred) was unmarried and lived with his parents at No.1, St. Leonard's Place, Eton Wick. He was born in July 1891 and had a younger brother, Edwin, who in later years became a well-known village man as both a cricketer and by profession a signwriter. Fred attended the Eton Porny School until he was nearly 15 years old when he left to be trained as a plumber. Whether or not he completed his training has not been established, but presumably it was not entirely to his liking because he became a tram conductor. The defence of Belgium and the resistance of German aggression was presented as a very noble cause, inspiring hundreds of thousands of Britain's finest men to enlist in the early weeks of the Great War. Little knowing the horrors ahead, they had one fear and that was that the war should end before their training was completed. Few foresaw the long weary road ahead. Frederick Thomas Buckland, Private in "C" Company; 7th Battalion, The Queen's Royal West Surrey Regiment, 23 years of age, and the son of Mr & Mrs Buckland of 1 St. Leonard's Place, Eton Wick. He was inoculated on 5th December 1914 and suffered no apparent ill effects. On 17th December he was awake at 5.30 a.m. and told his friends that he was going on furlough (leave) a few minutes later he was dead. He was serving at Purfleet, Surrey. An inquest was held at the Royal Hotel, Purfleet ( 2 days later) on 19th December when it was found that he had died of Syncope due to the distended condition of his stomach and intestines acting on a weak heart. “It was recorded that he had died in the service of his country”. He joined the Army in August 1914 and had not had any previous military experience. Frederick was a Porny' scholar and by trade a plumber. He became a Croydon tram conductor on completion of his track training, and he played cricket for the Eton Wick Institute Cricket team. Frederick T Buckland, brother of Edwin Buckland and the nephew of Mr and Mrs Joe Clark and also of Mr and Mrs Peter Ashby, age 23 years died at Purfleet camp and was buried at the St. John the Baptist Church, Eton Wick on December 23rd 1914. The Reverend Crabtree officiated. Both Joe Clarke and Peter Ashby were prominent Eton Wick men for many years. Joe himself served in the army during the Great War, and in fact he later named a daughter Dainville after a village of that name where he had served while on the Western Front. Joe later became secretary of the Eton Wick Football Club. Peter Ashby served on several village committees including the Eton Wick Rural Council before the village became part of the Eton Urban District Council in 1934. Frederick's grave is situated west of the St John the Baptist church, and close to the south fence. 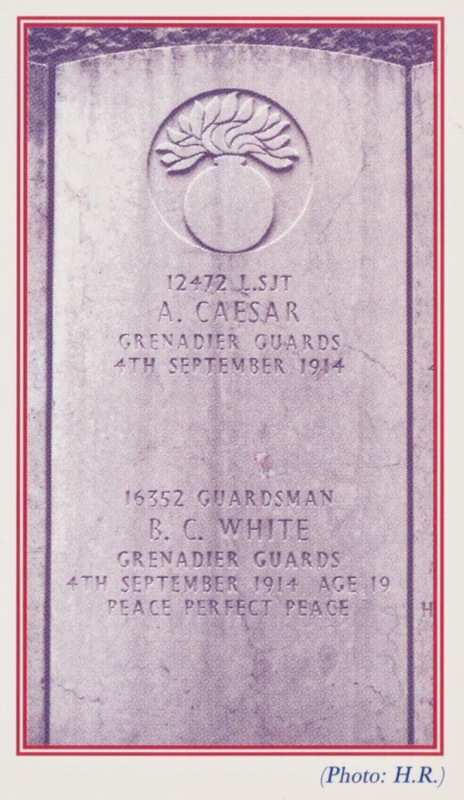 The family had a stone border laid round the grave and consequently there is no C.W.G.C. headstone. Members of Fred's family have long since departed and regrettably there is nobody to maintain the commemorative border stone. Had a C.W.G.C. headstone been erected it would have benefited from ongoing maintenance. Frederick was single and 23 years old. He is commemorated on the Eton Wick Village Memorial and on the bronze tablets attached to the Eton Church Gates. The Fredrick Buckland page on the Commonwealth War Graves Commission website. The Fredrick Buckland page on the For King & Country website.